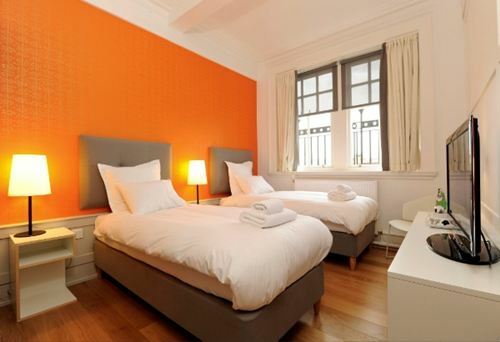 Grasshoppers luxury hotel situated in Glasgow city centre, is the perfect base from which to explore Glasgow. Grasshoppers is close to Glasgow's financial district as well as Glasgow's many restaurants, shops and cultural attractions. 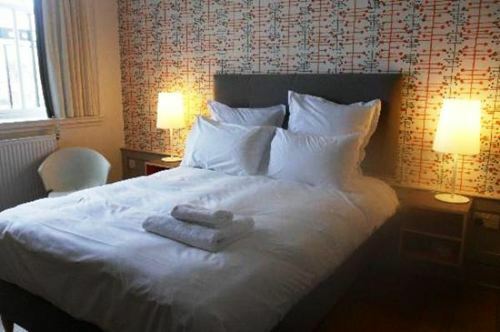 Grasshoppers is one of the newest Glasgow hotels. The bedroooms ooze both style and quality, whilst retaining many of its original features such as high ceilings, cornices as well as impressive windows and views. At Grasshoppers Glasgow you will find an affordable luxury hotel with a penthouse floor of 30 individual rooms combining a blend of traditional and contemporary features that include sliding sash windows affording great views over Glasgow, wood panelled walls, handmade wall papers, Caledonian Oak floors and furniture, exclusively designed and made for Grasshoppers by specialist joiners. 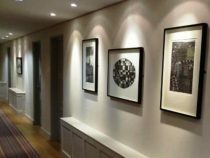 At Grasshoppers Hotel Glasgow all bedrooms have modern facilities including their own HD SKY Box with SKY Sports and SKY Movies plus discounted day passes for neighbouring LA Fitness gym and pool. 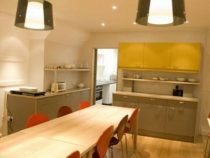 Grasshoppers Hotel is centrally located in Glasgow making it ideal for railway passengers arriving in Glasgow and those looking for an affordable luxury hotel in Glasgow city centre. Grasshoppers Hotel has ample car parking close by at reasonable rates. Grasshoppers Kitchen is located right at the heart of the hotel and is beautifully designed, with handmade ash tables, panelled walls, and ambient lighting to create a welcoming and friendly hub for guests to relax and enjoy fantastic food. Enjoy breakfast as part of your stay at Grasshoppers which we believe is an essential start to your day. Central to our belief is the procurement and quality of the breakfast ingredients and their authenticity. Grasshoppers prides itself on serving the highest quality food and drink which is sourced where possible from local producers and delicatessens, including eggs, bacon and a range of freshly baked breads. Yoghurts are offered with fresh fruits and we provide a small selection of exquisite cheeses and cold meats that vary on a daily basis. Porridge, kedgeree are also featured on the menu to reflect important National and European days. Our breakfasts are a celebration of quality ingredients, prepared by staff who share a commitment to deliver the best available produce, to meet individual choice. 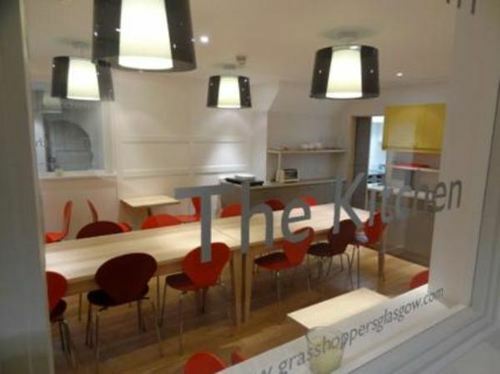 On arrival at Grasshoppers in Glasgow City Centre, guests are offered tea or coffee served with Grasshopper cakes and other daily treats. We want to make your arrival at Grasshoppers feel like you are arriving home. Free tea and coffee is available in the Reception and in The Kitchen, as well as the Bedrooms. Suppers at Grasshoppers are inspired by produce from some of Glasgow's best deli's, typically Roots and Fruits on Great Western Road and other specialist suppliers, of whom there are many in Glasgow. Suppers are served from 6pm-9pm on a daily basis Monday - Thursday Inclusive and charged as an extra. Suppers are signed for at The Kitchen, to be paid on departure for your convenience. Suppers are now available and we would recommend booking in advance of your stay. When considering your choice of Glasgow hotels include Grasshoppers on your list. With its city centre convenience, it is a Glasgow hotel where you can relax and enjoy yourself.